Thorough cleaning, appropriate treatment of specific surfaces: ebony, rosewood, maple, brass, nickel silver, nickel, steel, silver, gold. 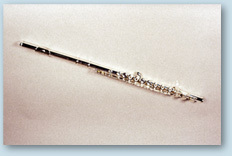 Adjust loose mechanisms, replace rods or cut point setscrews, ergonomic modifications to order. Replace flat and needle springs, tenon corks, key corks, felts and pads. Check posts and raised & tapered tone holes. Repair cracks and splits with a splint (a sliver of wood of the same species inlaid along the grain). Silver solder (key arms, spatulas, cups, etc.) on broken or worn keys. 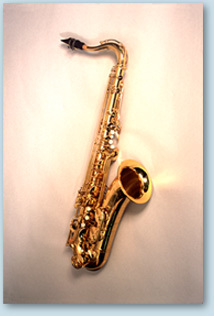 Dent removal on bodies, bells and necks, adjustments, modifications. 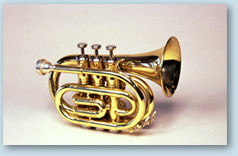 Remove dents of all kinds on bells, series, tubing, slides, tuning bits. Replace tubes, rings, crooks and stays. Lap valves, valve cases and slides. 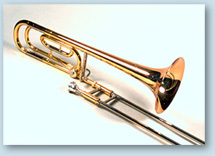 Any type of work on trombones – adjust alignments, replace stopper tube cork, remove dents, etc. Polish with chrome oxide and rouge. As above for soft and hard solder, dent removal, surface treatments. Adjust rotary valves, horse shoe stops, springs and spatulas. 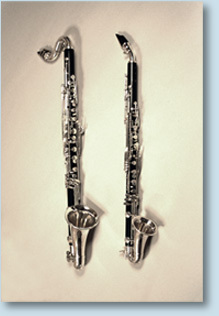 Double or triple string action horns – all types of repairs and adjustments.